Bakery Hill distillery is located in Victoria, Australia. It produces a variety of whiskies, including cask strength whiskies. After sampling the Double Wood, I am very keen to try the cask strength Bakery Hill whiskies which would have some more flavour and clout (more alcohol = more flavour!). Power and kick is something I think this whisky lacks, but it is incredibly smooth so I can only imagine it at cask strength; a strength that would probably rectify the lack of power and kick! A little alcoholic on the nose, this whisky releases some wood (obviously! ), caramel, toffee, lemon and subtle hints of vanilla. After resting for a while, raspberries float up with cherries, some peach and mango. With a light kick this whisky offers a sensationally smooth delivery with wood and notes of citrus and lime. A lovely dry smokiness coats my tongue and bitter fruits add a sharp crispness; delightful. Tart, the sweet raspberry on the nose morphs to bitter blackberry. Beautiful! Excellent work Bakery Hill! I can taste a distinct sweetness in this whisky, either bourbon or sherry. A respectable intensity of warmth lingers on my tongue, with that lovely bitter fruit smokiness radiating from the middle. It is fitting that Australia Day only recently passed, because this Australian whisky is excellent! Laid back, it delivers a youthful glow in a silky smooth package. This whisky seems lacking in spark and clout. 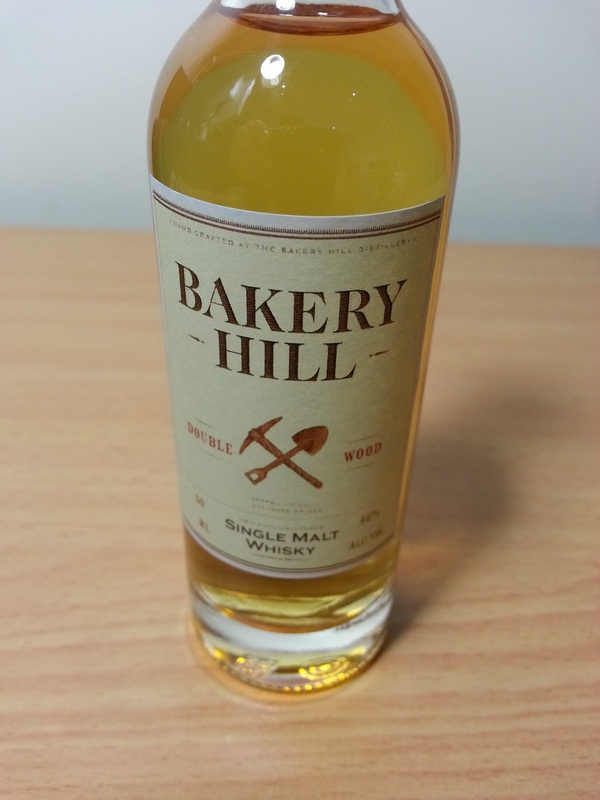 I look forward to sampling the cask strength whiskies from Bakery Hill!I think this whisky is very good (until the middle when that sweetness starts to take over, derailing the ride a little), so any improvement would make a good whisky excellent!